Originally made as a web series which can be seen on Vimeo the makers are now going full throttle and want to make it into a feature length movie. 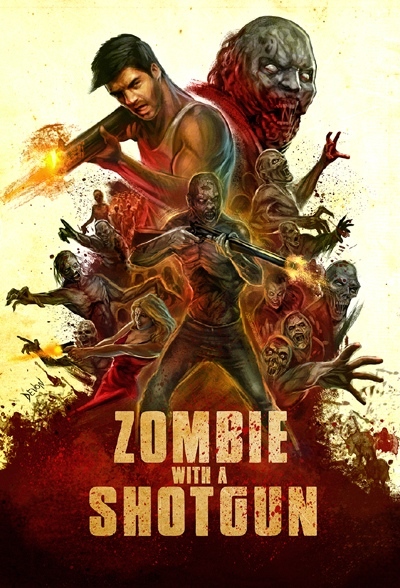 'ZOMBIE WITH A SHOTGUN' is being described as that zombie film where all the rules we know about zombie films go right out the window. In this Zombie film, the zombie will be the hero and it will have others (zombies) to help out on the war against the humans. The story follows Aaron who isn't sure if he is infected with the zombie virus or some other infection. He takes this journey with his girlfriend Rachel and his shotgun where they both find out the deep secrets among the zombie virus and their love life. Now for this project to creep out of the concept idea and become reality they want you loyal horror fans to join them on Indiegogo and donate towards their campaign to raise money to make the feature length 'ZOMBIE WITH A SHOTGUN'. Currently wanting to raise $35,000 of which they would like your help to make this film come alive. With some great perks on offer as well including a DVD of the finished film you won't want to miss out on making this film a reality. Go here and donate today and spread the word about this project. Episode 1 - 5 of the web series can be found on Vimeo.